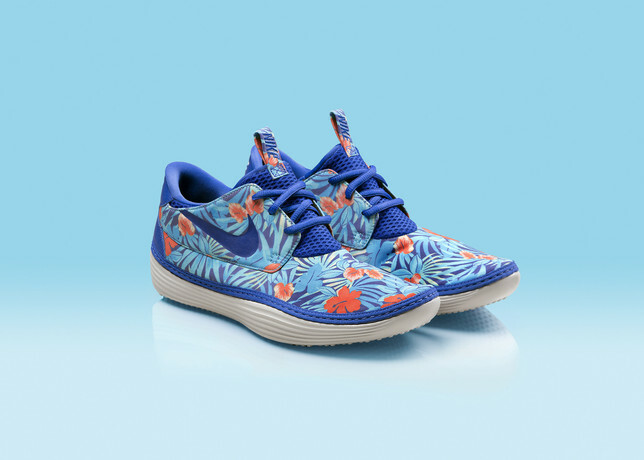 New Nike in Store Saturday 7.27.13. 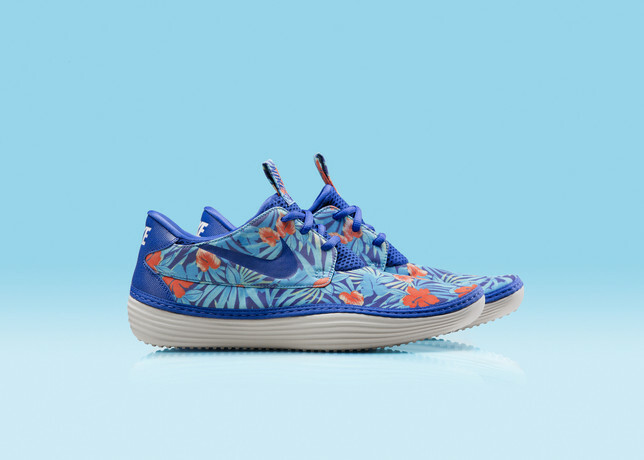 Nike draws Inspiration from Hawaii's colorful native flora and laidback culture with custom prints to freshen up the Nike Solarsoft Moccasin. 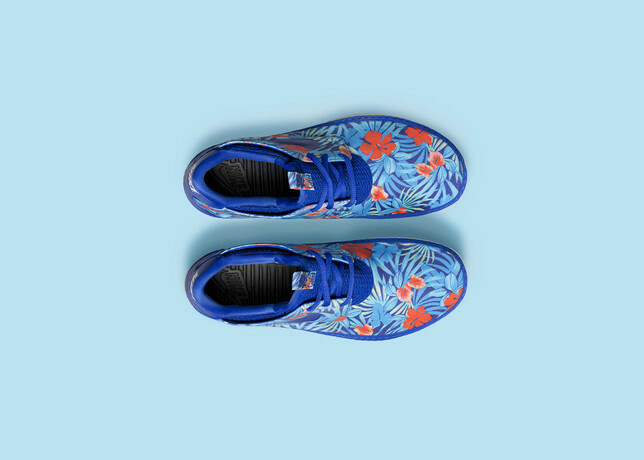 The vibrant patterns are illustrated takes on traditional island prints referencing flora growing everywhere from Hawaii’s rainforests to its lava fields to the peaks of its famous volcanoes. They boast a vintage vibe with a modern approach to color and material. 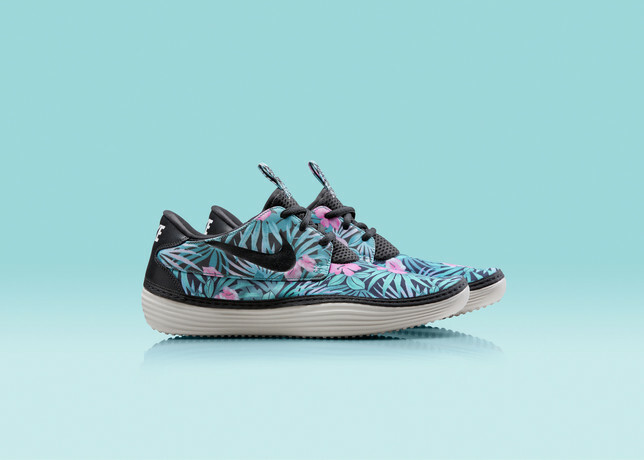 The breathable, lightweight sneaker has an engineered mesh upper, crafted using seamless Nike Hyperfuse technology. The trademark innovation employs heat and pressure to fuse three layers into one ventilated yet durable material. 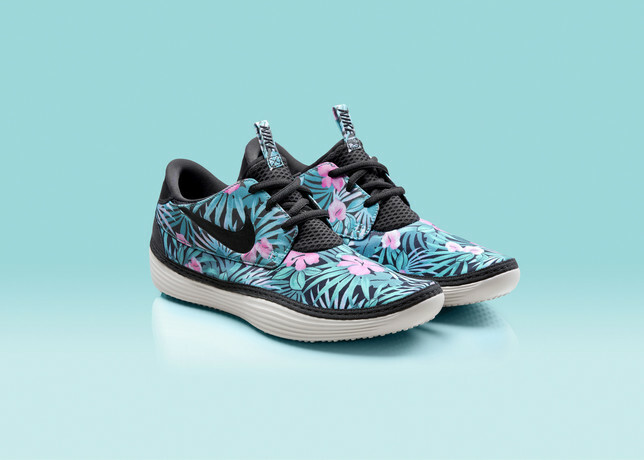 An injected Nike Dual-Density foam midsole—inspired by the Nike Aqua Sock 2—adds to the shoe’s sock-free appeal with ample underfoot cushioning enhanced by an encapsulated air-sole heel unit and a non-marking rubber outsole. 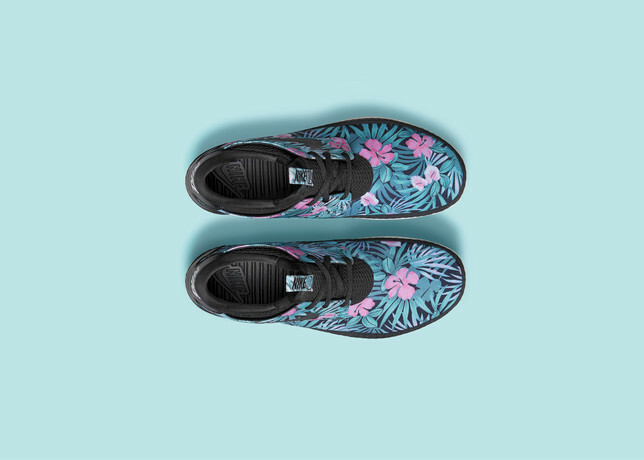 The stretch tongue ensures easy slip-on, slip-off entry, ideal for summer’s casual lifestyle.